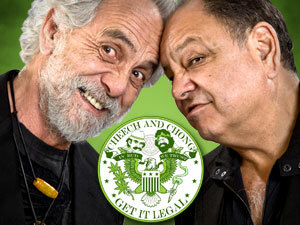 Per Tommy Chong, his brother Stan Chong, has passed away. Stan owned the comedy club in Canada where Cheech & Tommy met. My brother Stan Chong embarked on a Spiritual journey last night at 8 pm. A journey we will all take someday. Go with love my brother. According to an obituary for Stan in the PQB News, the Chong family settled in Calgary where Stan played hockey and football in school. He joined a band called The SHADES. Stan often said he really didn’t have much musical talent but he did have the only car among the band. In the early 1960s, Stan moved to Vancouver to help his brother Tommy, best-known for his iconic ‘Cheech and Chong’ stoner movies and a cannabis rights activist, manage nightclubs. During this time, Stan acquired the reputation as a fighter, something friend and fellow Qualicum Beach Legion member Bob Sommers can attest to.